Both maps are generously provided by Brock University Map, Data & GIS Library. Thank-you. You can find the actual interactive overlaid map here. Thanks also to Dr. Ebru Ustundag, Associate Professor – Department of Geography, Core Faculty – Social Justice and Equity Studies, Brock University for introducing me to this fantastic on-line resource at Brock. 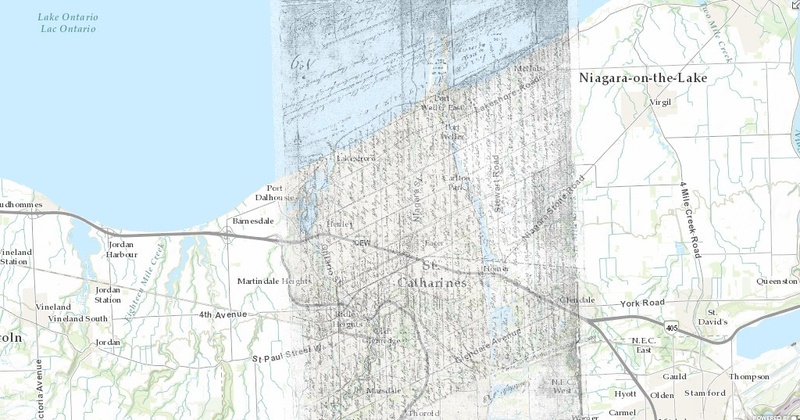 For a time, you can view a Collection of Historical Maps of Niagara from the Brock University Map, Data & GIS Library here.